Mark Wagenbuur has made another marvellous video showing scenes of cycling in the Netherlands. 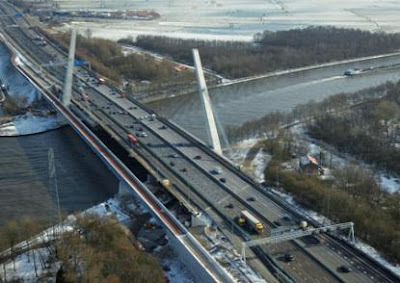 Mark says "This time the cycling really takes place in Holland (which is in the west of the Netherlands). In North-Holland to be precise, in and around the city of Alkmaar. Since it is all windmills, tulips and bicycles in this video a bit of corny music seemed fitting. 'Ik hou van Holland' (I love Holland) by 1950s child singer Heintje, a street organ and on the accordion. You can't really go much more Dutch than this..."
The music is also used by a very amusing TV show with the name "Ik hou van Holland", which is not the most serious thing on Dutch TV. Just after I got home tonight my daughter called me to say that there was an ad on the TV that I should see. A few minutes later when I looked at my email, someone had sent me the link to the same. It's above. The first guy says "Hey neighbour, ESP, ABS, fog lamps, 16 inch rims and 6 gears." The second guy says "28 inch rims, 8 gears, high power lights and computer integrated in the steering. My wife and daughter have the same." It's advertising for the bikes of course, in this case a a nice practical bike with everything built in and at the moment they're giving a free mid-week stay at centerparcs with each purchase. 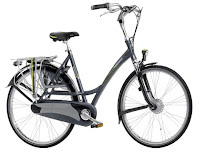 There is a list of the top selling models on the Batavus website, and much like any mainstream Dutch bicycle manufacturer, these are the most popular models in order. First place is taken by the very traditional Old Dutch, a nicely put together traditional bike with back pedal brake and one gear. "As well as black, also available in today's trendy colours," for €400. Second place is the Weekend. A higher specification bike (eight gears in the hub, aluminium frame, hub dynamo, built in computer etc.) intended for holidays, or indeed riding at weekends. It's the bike featured in the TV ad and sells for €850. Third place is the Diva, a "fashiobike" with trendy flower prints, it is an upmarket town bike. The feature "make the Diva a fashion statement." It costs €670. 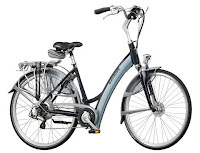 The fifth best selling model is the Padova Easy. 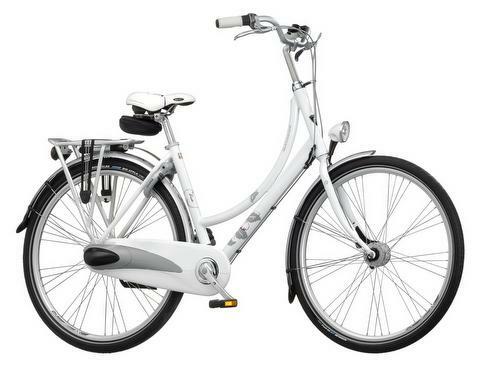 This is an electric bike with the battery built into the frame. The only bike in this list with an exposed chain, though a closed chain version is also available. 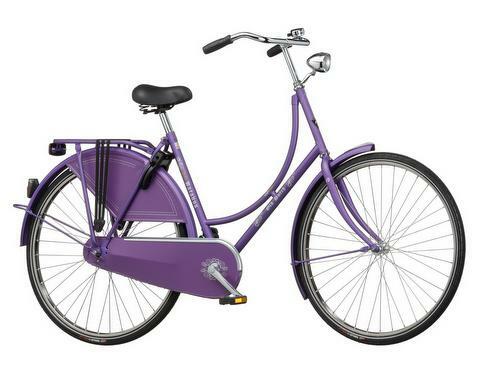 Often bought by retired couples in "his and hers" pairs, these bikes cost €2299 each. Note how all the bikes come fully equipped with mudguards, chainguards (all but the last protecting the chain for year around use), locks, lights. Some models come with pumps and other things you might consider to be separately sold accessories in other parts of the world. Basically these have all the features of a practical everyday bike as I posted about previously. Batavus do of course also sell racing bikes and mountain bikes, but naturally these sport bikes aren't the most popular models. Most people use their bikes for transportation, not sport. I'm quite surprised that none of the children's bikes make the list. 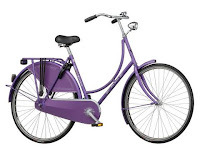 If you're interested in the type of components used on these bikes, and perhaps wish to transform your own bike to be more like the practical bikes ridden everyday by the Dutch, please visit our webshop which specializes in these parts and accessories. From the Fietsberaad come these two films showing how cycling rates can affect traffic, using an area of Alkmaar as an example. The two videos show possible futures for drivers in the city. The left hand side of each shows what the situation would be by 2020 if there was ten percent less cycle usage than at present while the right hand side shows the situation if there is ten percent more cycle usage compared with the present. Investing in cycling infrastructure which encourages a higher cycling rate not only benefits cyclists but also drivers and society as a whole. 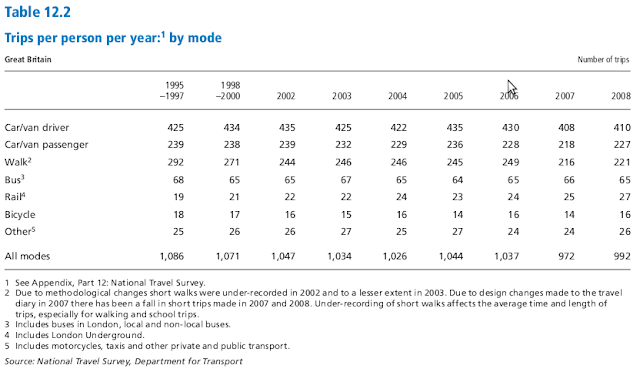 to 3% fewer car kilometres, 6% fewer within built up areas. and 20% less pressure on parking in the centre of the city. It is expected that a growth of 10% in cycling, just 0.25 extra km cycled per person per day, would result in 3% fewer car kilometres in total, 6% fewer in the city, resulting in drivers benefiting from 15% less time lost and 20% less pressure on car parking in the city centre. There are a range of benefits shown on the left. What's more, it is easier to address problems for drivers by improving conditions for cyclists as even the best quality of cycle provision is less expensive and more compact than building roads. Once again, it can be seen that promoting cycling is good not only for environmental and health reasons, but also for fiscal reasons. The Fietsberaad have produced a (long) publication in Dutch which goes into more detail. This includes the observation that subjective safety is improved by an increase in cycling vs. driving. 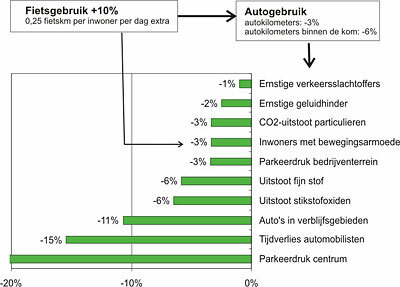 Half of all car journeys in the Netherlands are under 7.5 km (therefore easy to target as cycling journeys). Many larger cities in The Netherlands have successfully increased cycle use quite sharply in recent years. e.g. Groningen by 10% over 3 years, Amsterdam by 36% over 16 years and Den Haag by 11% over 3 years. It is also expected that the change to taxing motorists per km driven will result in an increase in cycling in the Randstad area of about the same amount. It's been a busy week... Some time ago we were asked to make a study of the novel "Fietsmolen" cycle park at Nieuw Vennep in North Holland, and eventually we got around to it last Saturday. It's over 200 km from here, so Judy and I took our cheap folding bikes on the train and made a very short (20 km or so) ride in the rain around the area. 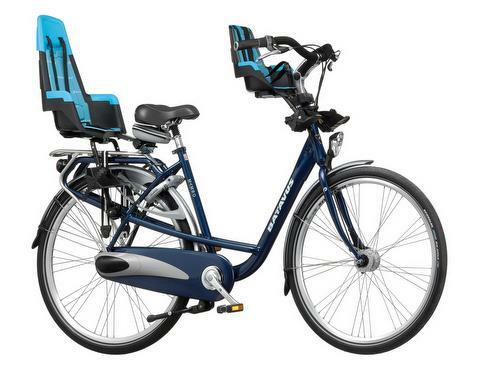 The Fietsmolen itself is quite interesting. It's an anonymous metal box above ground which allow automated use of 200 cycle parking spaces underground. If there's interest, perhaps I'll also write it up on the blog in due course. Nieuw Vennep has just 30000 residents, but in total cycle parking is for more than 1100 bikes, meaning that there is parking for one in 28 of the population to leave a bike at the railway station. 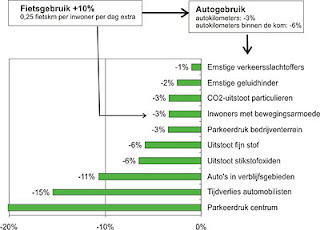 This is around the same figure as for Assen and Groningen, a little higher than some places, a little lower than others, but not far off average for Dutch railway station cycle parking. On our short ride we passed the Keukenhof gardens, but it was much too late in the day to pay to go in. Next to it I spotted this company hiring bikes, complete with a huge fake recumbent (The normal bike next to it is a full sized adult's bike). This week I found a new supplier for the same racks, who not only charges us a little less (allowing us to reduce the price of the handlebar mounted front racks by 20%). What's more, we now have the racks in the retail packaging. We've quite a lot of them in stock now, and I put an English translation of the fitting instructions in with each rack. From Wednesday through to Friday I worked with my colleagues at the Ligfietsgarage in Groningen. We built two more Mango velomobiles, sent a Mango Sport test ride bike to Denmark for display at a show in Aarhus, and did a few repairs to local customers bikes. It has been noted in Dutch newspapers that bike shops around the country have plenty of work to do on bikes which suffered in the heavy winter we've just had. Of course, those with exposed chains, brakes and gears are much less able to deal with winter than those which have these sensitive parts enclosed (as do almost all Dutch town bikes and also the Sinner Mango). One of our Mango customers came along on a day when we'd got nearly all the stock outside. We don't only sell Mangos but also have a large number of the other excellent touring and commuting machines from Sinner, the Demon, Spirit and Comfort and a select range of models we like from other manufacturers as well. We've a busy weekend, and another busy week ahead. Tomorrow is the Ligfietsopstapdag in Assen, and on Monday and Tuesday there are baskets to make. As I now have both racks and packaging material, I need to get on with wrapping those baskets pictured above and taking them to the post office. This is what is called a quill stem. It's the "old fashioned" way of connecting the handlebars to a bicycle, out of favour amongst racers who prefer the slightly stiffer "aheadset" system, but still in use on virtually every utility bicycle. It's a very good system. You can adjust the height of the handlbars simply by undoing the bolt at the top, sliding the handlebars up or down a little, and doing it back up again. Much more straightforward than the process with an aheadset. This particular quill stem is on a beautiful racing bike on which Hennie Kuiper won the 1983 Paris-Roubaix race. Paris-Roubaix is known as probably the hardest race in the world, a major strain for both man and machine. "The Hell of the North" was immortalized in a fantastic film called "A Sunday in Hell". Other features of this race winning bike include five speed non-indexed derailleur gears, single pivot brakes, and a steel frame. So, why is the quill stem of significance ? Last year it was one of the points criticised by a clueless British newspaper reviewing a "the cheapest bicycle in the UK". There were many things wrong with that bike, but amongst the things picked out by the Guardian journalist was the quill stem, as if this was an actual problem. It's not. Quill stems work on millions of bikes every day and they simplify adjustment without extra expense. It's a shame that the newspaper decided to try to offer advice as it was not good advice. It's always better to get information about bikes from people who know about bikes, and of course most of the people who bought one of those Asda bikes would have been better off with something like this. The bike is from the Velorama bicycle museum in Nijmegen. It was on display in Assen at the start of the Vuelta a Espana last year. Paris-Roubaix is held annually on a Sunday in April. This year they'll be racing for 259 km on the 11th of April. Tomorrow. Well worth watching on the TV if you can't be there. I'll be recording it, as the ligfietsopstapdag is on the same day. The wikipedia page about Hennie Kuiper says that "His serious introduction to the bicycle was to and from school". That's the case for virtually all Dutch children, of course, which probably goes some way to explaining why the Dutch have been so successful in cycle racing. You can buy quill stems, threadless stems, and different shape handlebars in our webshop.